You are currently browsing the tag archive for the ‘TAG’ tag. 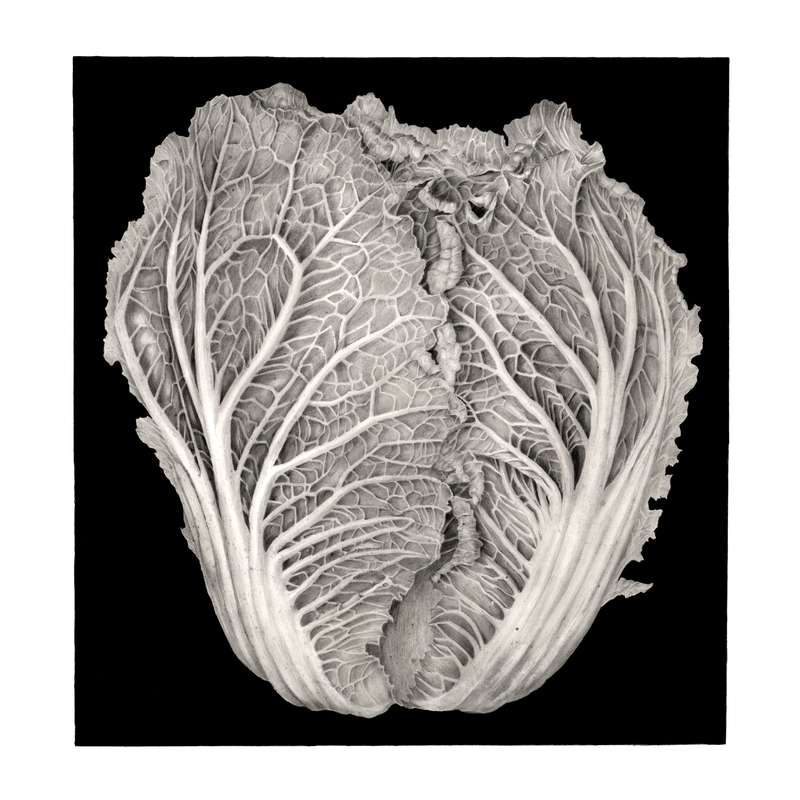 Savoy Cabbage, graphite, by Sally Jacobs, © 2016. Sally was inspired by the rich arrays of produce and flora found in Los Angeles’ farmers markets. Jacobs zooms in, portraying flowers, vegetables, and fruit with dramatic precision. Jacobs transforms a vegetable we choose for nourishment or a flower for decoration by aiming higher, rendering it’s unique structure eye-catching and explicit, causing the viewer to catch their breath in wonder. Jacobs uses watercolor or pencil in a unique, graduated way, masterfully capturing the minutest details of her subjects’ anatomy while staying true to the whole. She delves deep into a plant’s structure to reveal striking patterns and colors that seize one’s attention and imagination. 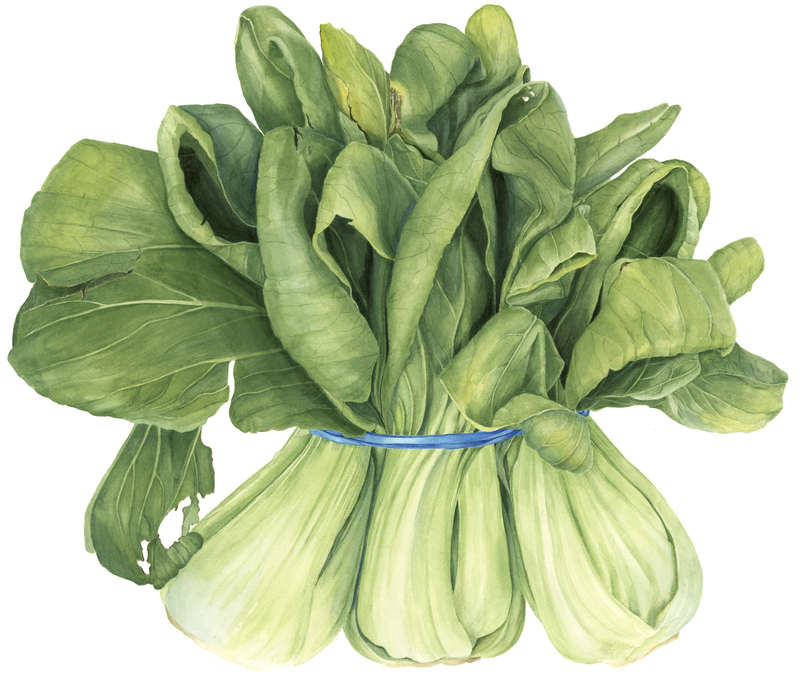 Bok choy, watercolor, by Sally Jacobs, © 2016. Jacobs is a contemporary botanical artist who has exhibited in numerous juried shows in New York and San Francisco, and at museums in New York, Minneapolis and Phoenix. She was an award winner at the Brand 37 Works on Paper exhibit and is one of the artists included in “Todays Botanical Artists,” a publication of well-regarded nature artists. TAG is located at 2525 Michigan Ave., D3, in the Bergamot Station Art Center, Santa Monica, CA 90404, 310. 829.9556. Cover of the Call for Entries PDF brochure for “2016 California Open Exhibition” at TAG Gallery, in Bergamot Station Arts Center, Santa Monica, California. I’m writing about a juried show sponsored by my gallery, TAG, at Bergamot Station in Santa Monica. It’s the “California Open” which we’ve held for many years now. It’s a great show, well-juried, well-attended and a terrific showcase. This year it is juried by Kent Twitchell, who is known to appreciate representational art. Current TAG members are not allowed to enter. The 11th Annual California Open is a juried exhibition celebrating contemporary art created by emerging artists. The competition is hosted by TAG Gallery, an artist-owned gallery located at Bergamot Station Arts Center that features emerging and mid-career artists of Southern California. Kent Twitchell is an American muralist who is most active in Los Angeles. He is most famous for his larger-than-life mural portraits, often of celebrities and artists. His murals are realism, not photorealism, according to Twitchell. He painted his first signed murals in 1971, “Steve McQueen Monument” in Downtown LA and “Strother Martin Monument” in Holly wood. Kent has painted ”The Hollywood Freeway Lady,” ”The Bride & Groom,” monuments to visual artists Ed Ruscha, Lita Albuquerque, Jim Morphesis, Gary Lloyd and others. He painted the “LA Marathon Mural” in Inglewood, the “LA Chamber Orchestra” in Downtown LA, the “Dr. J Monument” in Philadelphia and two “Monuments to Will Rogers” on the historic California Theatre in San Bernardino, among other murals. He is in the permanent collections of the LA County Museum of Art, the Chicago Art Institute, the Boise Art Museum, the Smithsonian Institution, the Vincent Prince Art Museum, the Long Beach Museum of Art and many private collections. He has also completed three murals in the main lobby of the historic Bob Hope Patriotic Hall in Downtown LA, a 40′ tall “Ruby Dee Monument” on the historic Karamu House Theatre in Cleveland, and a new “Freeway Lady” mural at LA Valley College for the 40th anniversary of the original mural. He has taught at LA City College, Otis College of Art & Design, California State University, LA, Biola University, Pasadena City College and LA County High School for the Arts. He is currently MFA Mentor/Advisor at Laguna College of Art & Design. TAG Gallery has invited BAGSC members to enter the 2013 California Open Juried Exhibition. Deadline for submission is June 26, 2013. Open to U.S. artists 18+ working in drawing, mixed media, painting, photography, printmaking, computer art and sculpture. Maximum size 48″h x 36″w, sculptures maximum size 48″h x 20″w and maximum weight 40 lbs. Cash awards. Fee: $40/1 to 2 entries, $10/each additional, 6 maximum. Online submissions. Entry Deadline: June 26, 2013. The prospectus can be viewed here: CA Open Prospectus Brochure, or at: http://www.caopen.net. Questions: 310-829-9556 or e-mail. Please visit the California Open Exhibition website for more information and additional copies of the Prospectus.